How´s everybody doing? Hopefully you´re all in good hands right now! Things have been going well here. It´s rained off and on which has been pretty cool. Sometimes it´s annoying when it´s really humid afterwards but I love the days when it is really cloudly. This week we worked with our district a little bit more. The hermanas went and visited our investigator Jose Ramon, and his wife seems a little bit more kind now haha. That is, the last time we visited she didn´t go and hide in her room and talked to us a little more. I think it´s little by little with some people. We also visited one of their investigators and meet with him. He´s a single Dad and he kind of wanted to here some advice from some men too, we´re excited because he´s baptismal date is for this Saturday and we´re going to assist. Probably the coolest thing that happened during the week is when this group of 4 women contacted us. They were selling donuts and asked us about what we do and we started teaching them. We taught them about the gospel of Jesus Christ and later on we taught them about the restoration. 2 of them got the chance to assist a baptism of the hermanas with us and went to church this sunday with us. We´ve been having a little more success finding new people which is always awesome.. There´s another kid named Fernando that we´re teaching and he´s been really excited and interested in our lessons. 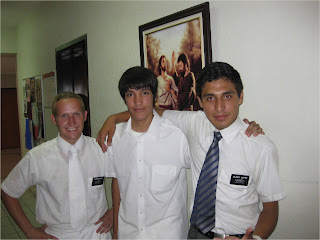 His baptismal date is for this saturday so we´re going to help try and keep preparing him. 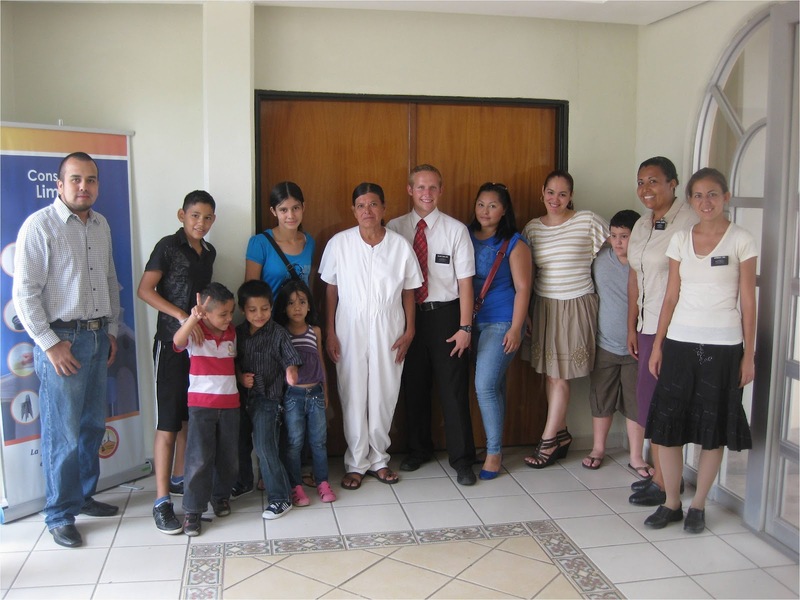 The good thing too is that he´s already made a lot of friends in the church with some activities we invited him too. I hope everybody keeps enjoying their summer time. Hopefully the weather doesn´t get too much hotter but I don´t have much to complain about. Thanks for all the support, love, and prayers as always! P.S. Here´s a picture of Fernando´s baptism the other week and a picture of the baptism we assisted with the hermanas!